On Tuesday, a former U.S. Air Force staff sergeant pleaded guilty to seeking and receiving a bribe from an Afghan contractor while serving in Afghanistan. The sergeant worked at the Humanitarian Aid Yard (HA Yard) at Bagram Airfield in Afghanistan and was involved in the issuance of contracts to replenish supplies at the HA Yard under the Commander’s Emergency Response Program (CERP). He is the eighth defendant to plead guilty in the investigation of this matter. David Turcios received $8,500 in bribes from local contractors who supplied goods such as rice, beans and clothing. During his tenure, approximately nine contracts in which Turcios was involved were awarded to Afghan vendors with a value of over $2 million. On Thursday, a cyclone roared over the island of Socotra, 250 miles off the coast of Yemen. The UNESCO world heritage site in the Arabian Sea has received more attention in the press than usual over the past several weeks — United Arab Emirates forces were accused of trying to occupy the island recently. The Emirates, along with Saudi Arabia, are back again, this time leading extensive relief operations for the thousands of residents affected by the weather emergency. On Saturday, the cyclone hit the coastal city of Salalah, Oman’s’third-largest city of 200,000 people. The storm is said to be the most powerful to ever hit the area, with winds gusting up to 124 mph and causing the deaths of 13 people in total, including a 12-year old girl. 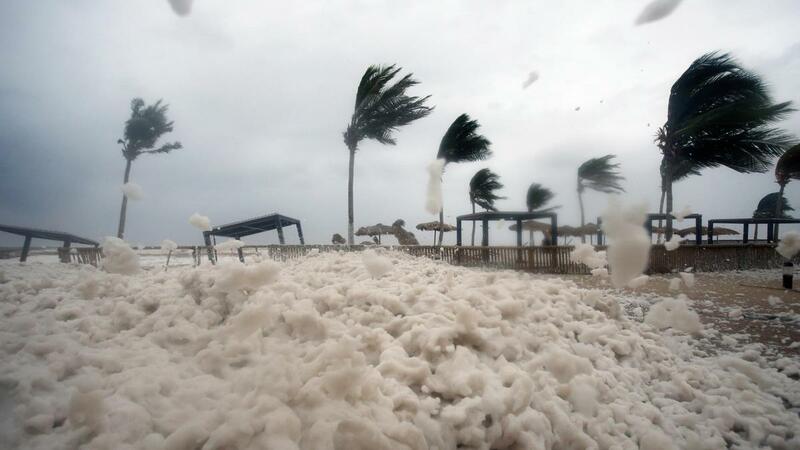 For dramatic images of the storm’s effects in Oman, check out this site. Also, on Thursday, Turkey’s state-run news agency said authorities had arrested a popular rap artist on charges of inciting drug use. 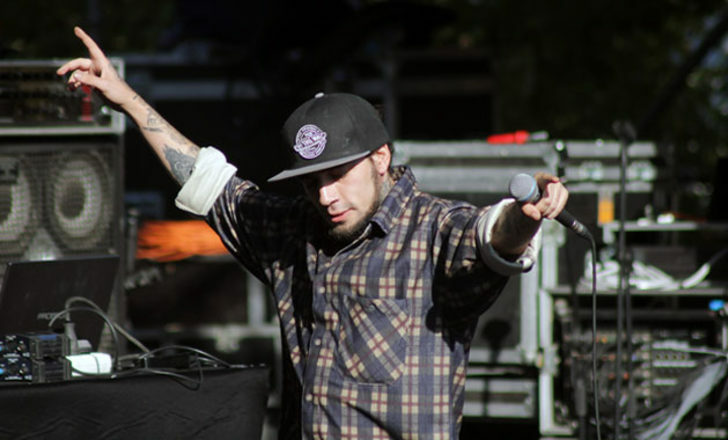 Anadolu Agency said 27-year-old Sercan Ipekcigolu, left, better-known as rapper “Ezhel,” was detained by narcotics police in Istanbul late Thursday and was later charged with encouraging the use of drugs. Other media reports said the rapper could face a five-year prison term for encouraging the use of drugs in his song lyrics and video clips. Less-affluent than its gas-and-oil rich Gulf neighbors and with a high employment rate of nearly 17 percent, Oman announced on Sunday that it would be extending its temporary expatriate worker visa ban in multiple industries, affecting 95 types of jobs. The visa ban prohibits corporations from hiring foreigners in the hopes of creating more job opportunities for Omani nationals. The UAE on the other hand, is taking the opposite approach, announcing on the same day that it would be issuing 10-year residency visas to attract more foreign talent to fill positions for which Emirati nationals lack the appropriate experience or expertise. The visa is also aimed at attracting investors and encouraging expats to buy their own homes in the country, boosting the real estate market. The new legislation also, for the first time, allows foreigners to have 100 percent ownership of their companies in the country. This is all part of the prime minister’s vision of the Emirates as an incubator hub for innovators with an open environment, tolerant values and flexible legislation. Also on Sunday, an Algerian blogger appealed against a 10-year prison term for a social media post in which he spoke with an Israeli official, according to his lawyer. Global rights groups have condemned the severity of the sentence. Merzoug Touati was convicted on Thursday of providing intelligence to “agents of a foreign power” likely to damage Algeria, by a court in Bejaia, east of Algiers. The 30-year-old blogger submitted his appeal the following day and was feeling “optimistic.” Touati has been in prison since his arrest in January 2017, over an online video interview with an Israeli foreign ministry spokesman and a Facebook post in which he called for protests against a new financial law. During his trial the court dropped three additional charges including incitement against the state, which his lawyer said carries the death sentence.